Bülent wanted to make my last weekend in Turkey special, and so planned a lovely getaway for us. 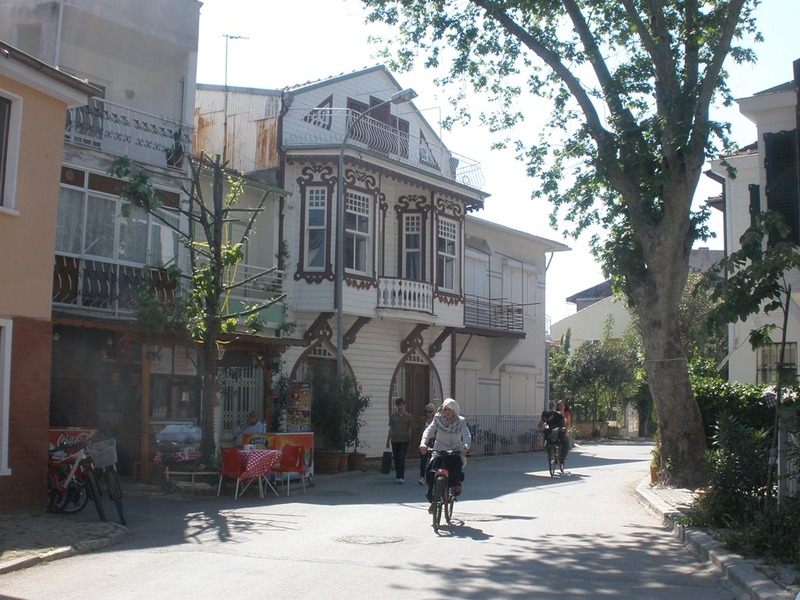 We drove up to Istanbul and took a ferry to Büyükada (Big Island.) 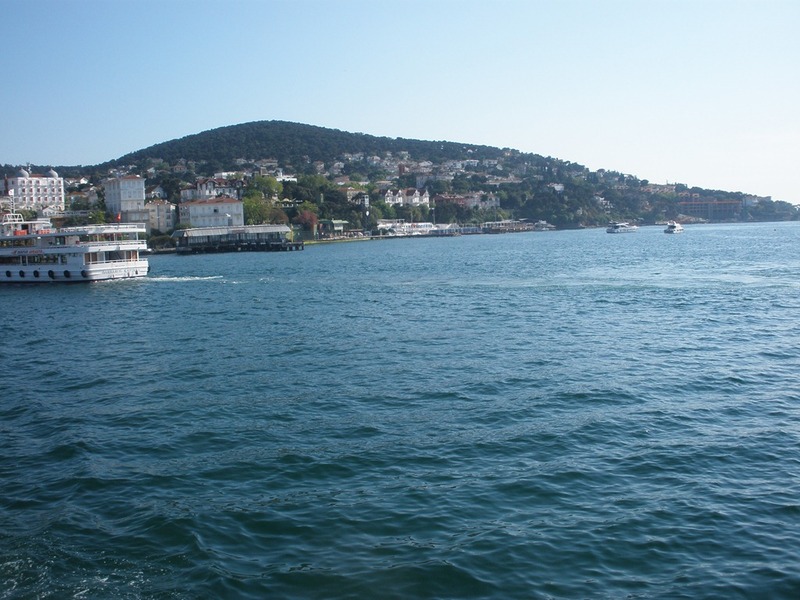 It is the largest island in the Princes’ Island group in the Sea of Marmara. The ferry ride was only about 20 minutes, and then we were there! There are no cars allowed on the island except for emergency vehicles. 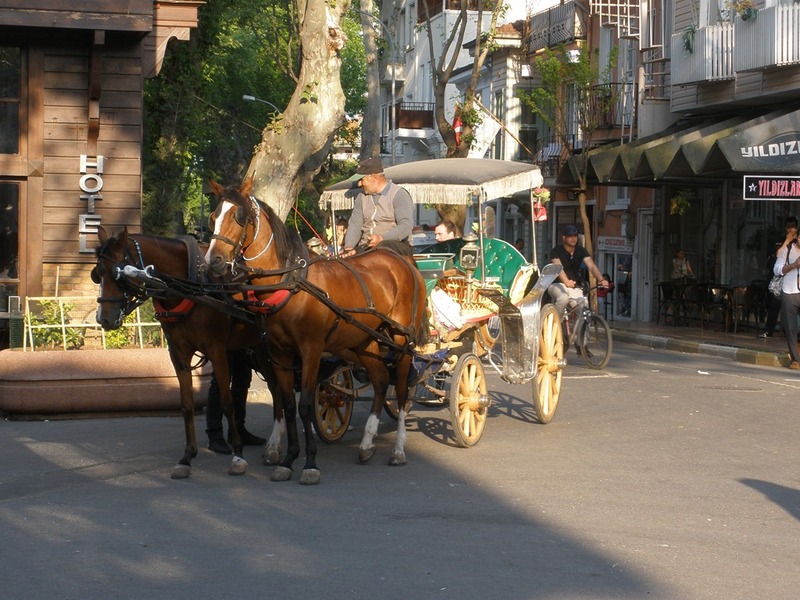 People, who don’t wish to walk, zip around on bikes, or ride in horse drawn carriages. There were many beautiful old mansions and houses with sea views. Walking around there was something lovely in every direction. We had a great time there. There were no cars—so no traffic. It was very relaxing to have no place to go, nothing more important to decide than which of the water front restaurants we would eat at. We just sat at the water, watched the sun set and meandered off to dinner. Certainly a romantic evening! 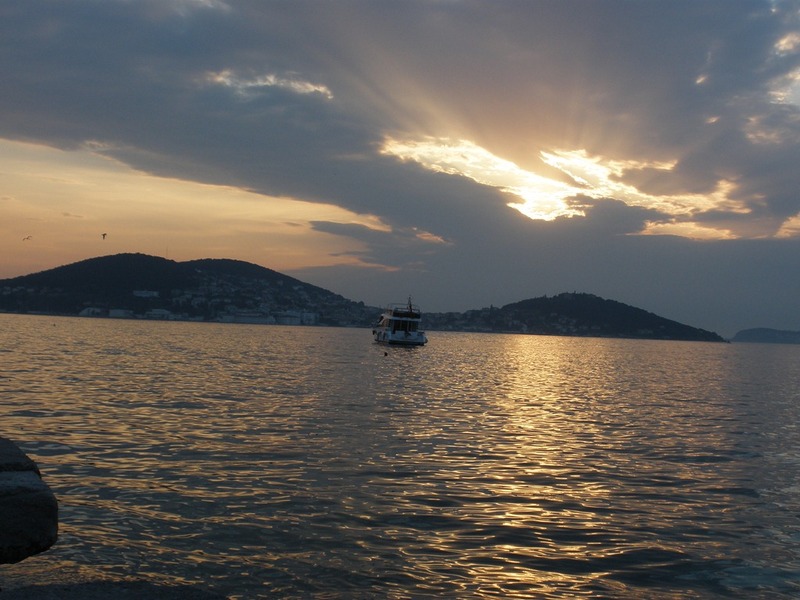 This entry was posted in Istanbul, Romance, Turkey, Vacation and tagged Buyukada, Expat, Expatriate, Mini-Moon, Turkey, Vacation by Jules. Bookmark the permalink. Looks gorgeous! Glad you two could make the time! It was really nice. I would break my “No more than 4 hour drive for less than two days” rule for a weekend there.